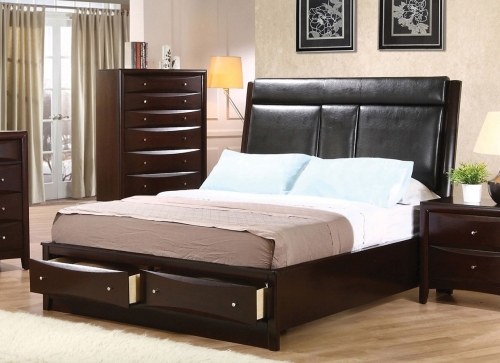 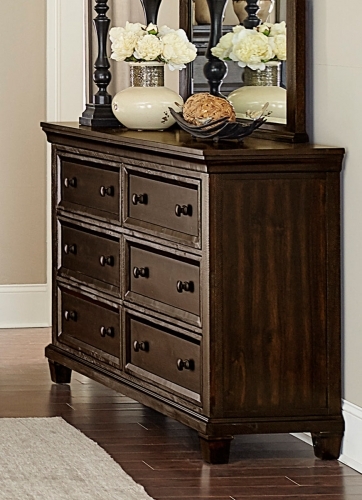 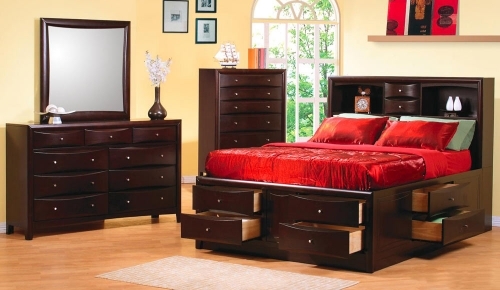 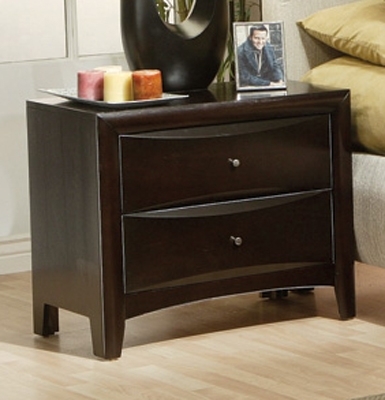 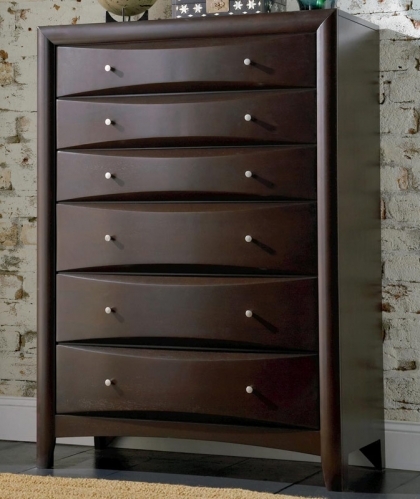 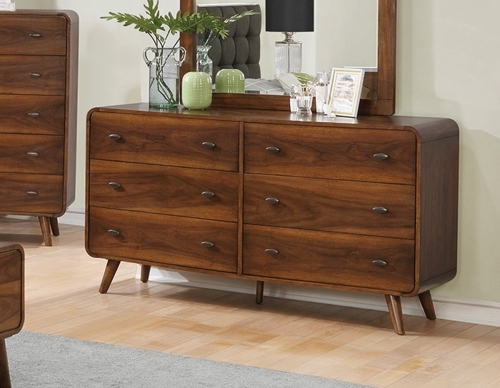 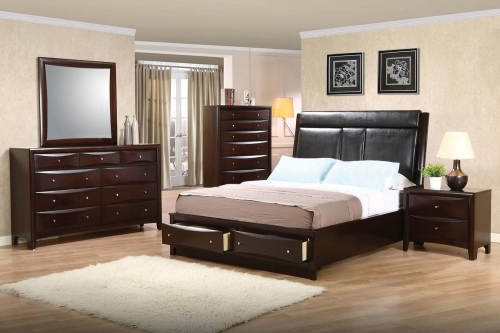 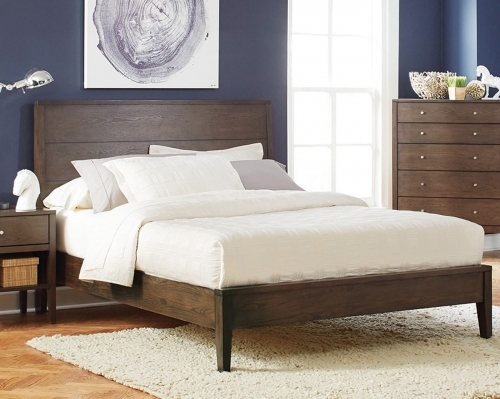 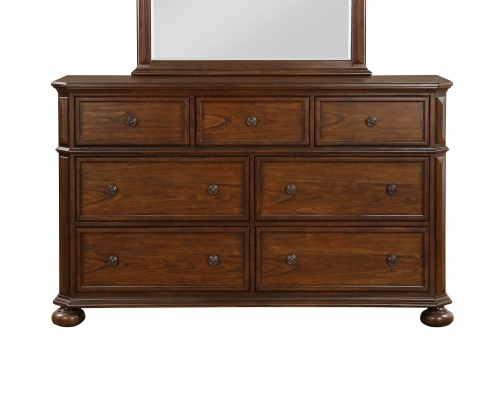 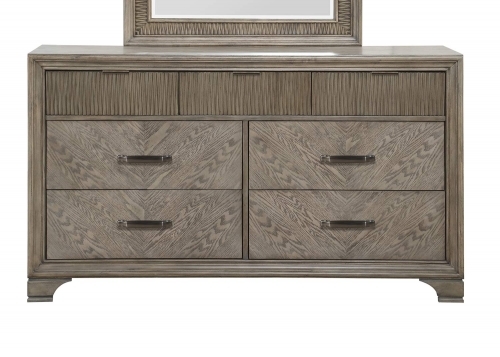 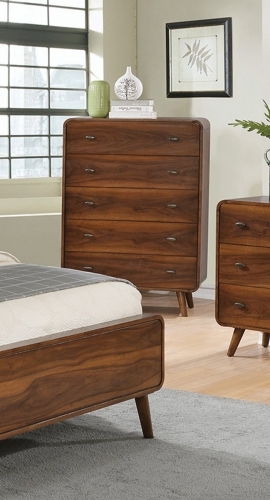 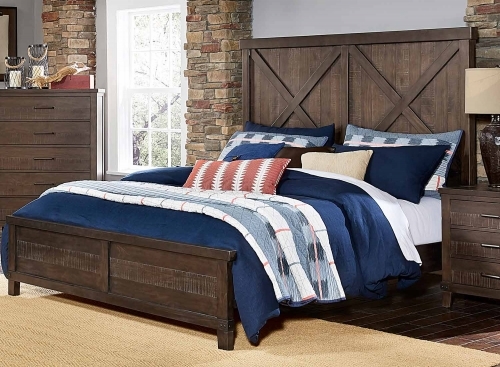 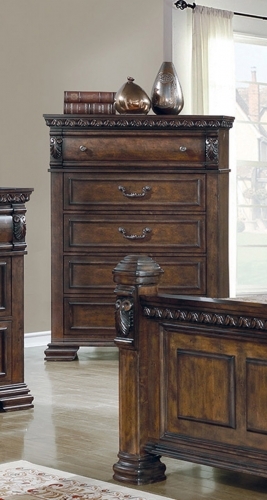 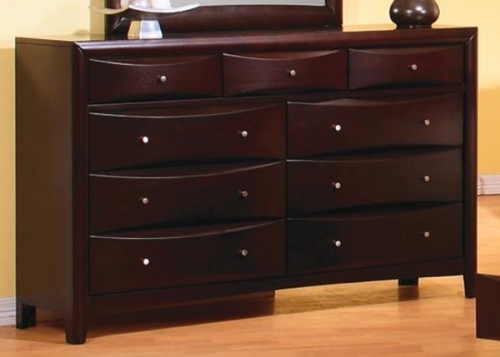 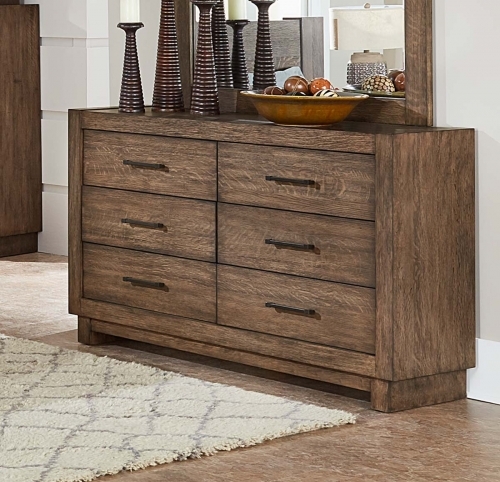 The Phoenix Collection is crafted from solid hardwood with Maple veneers. 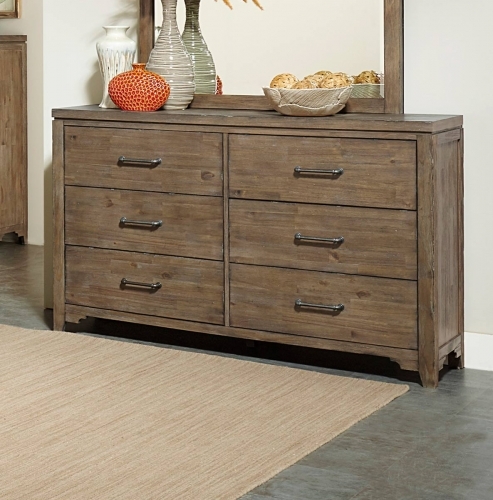 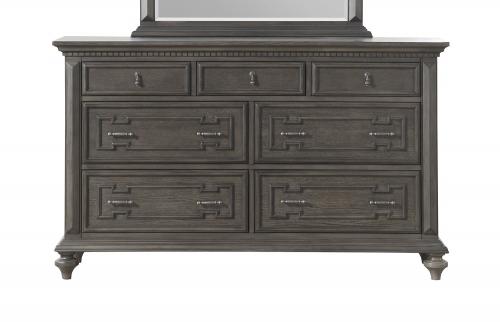 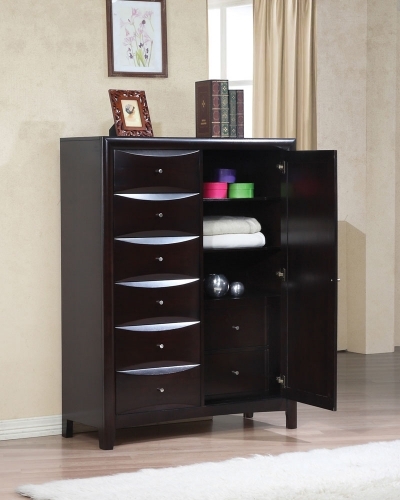 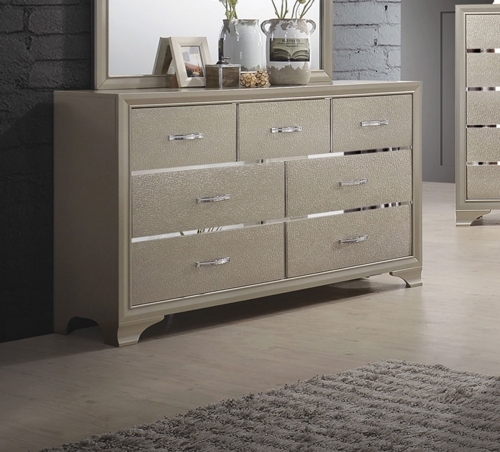 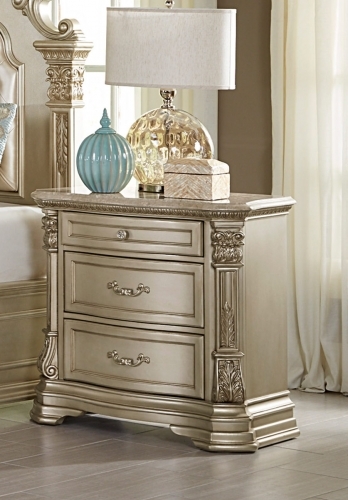 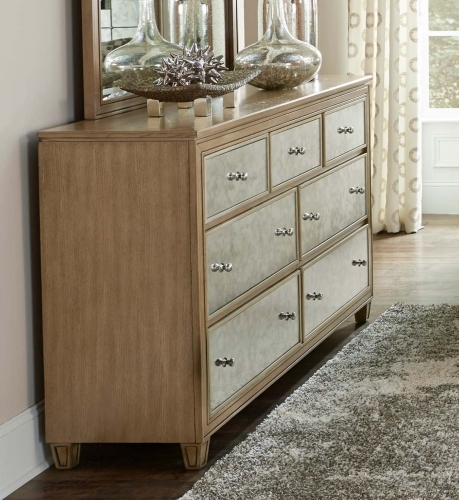 It is finished in a rich deep cappuccino, All drawers have beveled wood fronts and are accented with brushed nickel hardware. 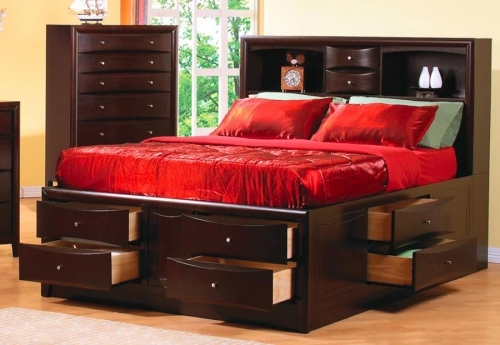 Platform bed in cappuccino.